Patterns > Home Decorating Patterns > Gift Mixes! 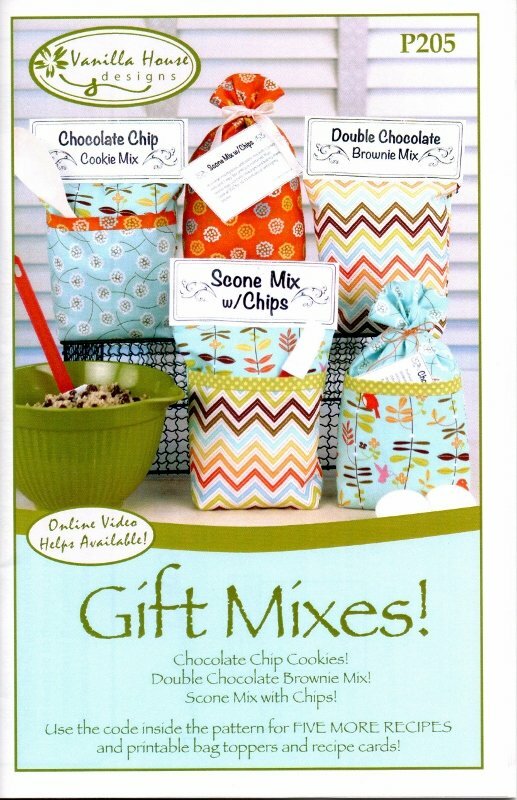 From Vanilla House designs comes the latest & greatest pattern: Three "gift mix" combinations and four different presentation bag patterns - all in one little package! Choose your favorite fabrics to make the different bags, add accessories like a spoon, spatula, recipe card or whisk, create your mix and voila! You've got gift mixes that make special gits for your favorite cooks - they're even better for "non-cooks" because you've done the hardest part for them! Included in the pattern are addresses for online video helps and more gift mix recipes.